Malignant brain tumours can spread beyond the original site and invade surrounding tissue and they rarely spread to other parts of the body. Benign tumours cannot spread and are not cancerous. In the brain, both malignant and benign tumours can be harmful because they increase pressure in the skull. Brain tumours can be primary or secondary - primary brain tumours originate in the brain and secondary brain tumours develop in another part of the body, such as the lungs, breast or skin, and spread to the brain. One of the most common symptoms of a brain tumour is headache, which is a result of increased pressure in the skull. Headaches associated with brain tumours are often severe and may occur every day, typically being worse in the mornings. The pain is often made worse by coughing and may be accompanied by nausea, vomiting or blurred vision. However, it’s important to realise that most headaches are not caused by brain tumours. Another common symptom is seizures (epileptic fits), which can cause muscle spasms, or periods of unconsciousness. Other symptoms depend upon where the tumour is located. These may include visual disturbances (especially double vision), difficulties with speech such as slurring or inability to name objects, problems with hearing or sense of smell, drowsiness, problems concentrating, weakness or paralysis in the limbs, or a change in personality. These grow from glial cells, which support the nerve cells of the brain. Over half of all primary brain tumours in adults are gliomas. Astrocytomas – the most common glioma, these develop from star-shaped cells called astrocytes. Many, but not all, astrocytomas spread throughout the brain, and often these cannot be cured. Oligodendrogliomas – these gliomas develop in the cells that produce myelin (the covering for nerve cells). They are similar to astrocytomas in the way they spread and are unlikely to be completely removed by surgery. Ependymomas – these develop from cells that line the cavities in the brain and spinal cord (ventricles). Some can be removed by surgery. Gliomas can also be of mixed origin. These are usually benign tumours that grow from the membranes (the meninges) that cover the brain and spinal cord. They are generally slow growing and can be treated by surgery. One of the most common malignant brain tumours in children, these develop from cells left over from the development of the body in the womb. These benign tumours develop in the auditory nerve, which controls hearing and balance. They are more common in women. These are very rare and develop from blood vessel cells. They are almost always benign. These are malignant tumours of the lymphatic system, part of the body's immune system. Primary lymphomas are rare, and are more likely in people with reduced immunity. These are extremely rare benign tumours which develop from the pineal gland situated between the two halves of the brain (cerebral hemispheres). These develop from the spinal cord. These develop from egg- or sperm-producing cells that remain in the brain instead of developing properly. These develop within the pituitary gland and are nearly always benign. They can cause disturbances in vision or hormone levels. CT (computerised axial tomography) scan, a type of X-ray which builds up a three dimensional picture of the brain to show the position of the tumour. MRI (magnetic resonance imaging) scan - this is similar to a CT scan but uses magnetic fields, instead of X-rays, to build up a picture of the brain. EEG (electro-encephalogram) – this records the electrical activity of the brain. Recording electrodes are positioned on the head and connected to a computer to detect abnormal brain activity. Other tests may include taking a sample of cerebrospinal fluid from the lower back (a lumbar puncture) or an X-ray of blood vessels (angiogram) to show the position of the tumour. 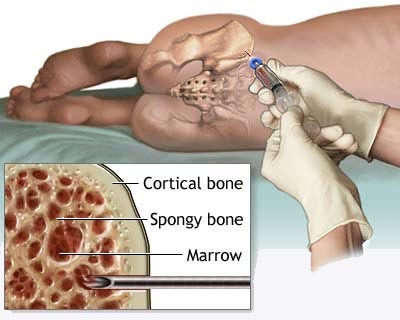 If a brain tumour is suspected and it is in an accessible position, a biopsy (removal of a small tissue sample) may be carried out under general anaesthetic. The sample will be examined in the laboratory to find out what type of tumour it is and how fast it is growing. This information will determine the course of treatment. Investigations such as blood tests and X-rays may be carried out to check for other health problems. Surgery, radiotherapy or chemotherapy are the main treatment options and may be used alone or in combination, depending on the type of tumour. Surgery is the first treatment option for most primary brain tumours. As much of the tumour as possible is removed by making an opening in the skull called a craniotomy. A course of radiotherapy and/or chemotherapy often follows.Some slow growing tumours may not need surgery if they are not causing symptoms, and can be carefully monitored instead. Radiotherapy works by targeting radiation to damage the cancer cells and prevent them growing. It may be used before surgery to reduce the size of the tumour, after surgery to kill any tumour cells that were not removed, or as an alternative to surgery. Chemotherapy uses drugs that attack cancer cells or prevent them multiplying. It is used alone or in combination with radiotherapy to treat primary brain tumours that cannot be removed surgically, or to treat secondary brain tumours. It is usually given as tablets or by injection. Steroids, such as dexamethasone, are often given to reduce the swelling caused by brain tumours. They will not remove the tumour, but should improve the symptoms and may be given before or after surgery or radiotherapy.Anticonvulsants, such as phenytoin and carbamazepine, may be given to control epileptic fits. New surgical techniques, lasers, gene therapy and immune therapy are being researched for treating brain tumours.